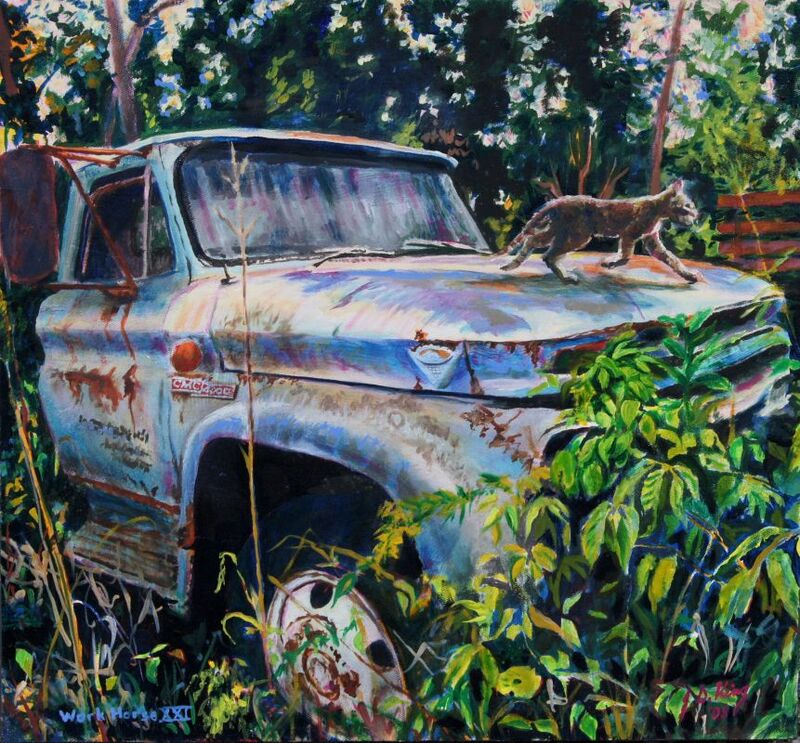 Late 1950s GMC Farm truck with cat. Dimensions: 26in. × 2in. × 24in.